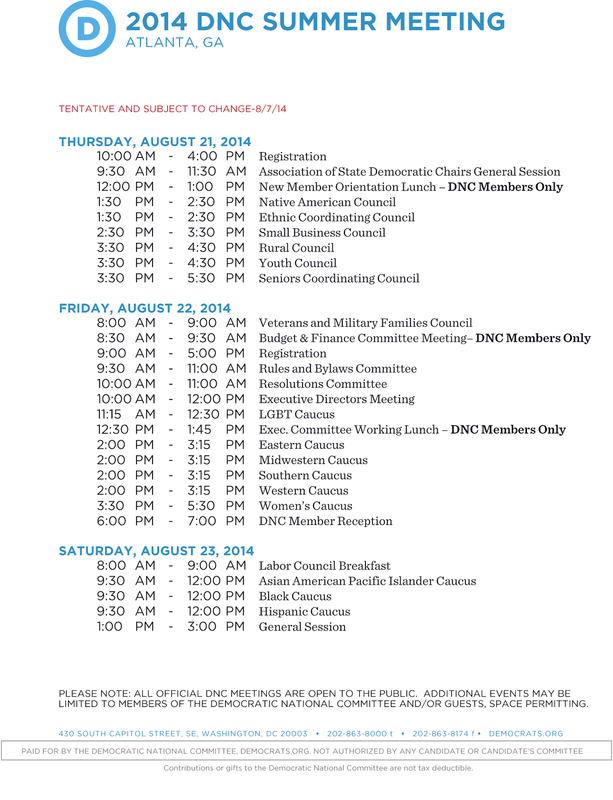 Georgia Unfiltered has learned that the full Democratic National Committee will hold its summer meeting at the Hyatt Regency in Atlanta, 21 August through 23 August 2014. The Democratic National Committee, a body of over four hundred party leaders and elected officials from across the United States, is expected to adopt the 2016 presidential delegate selection rules at this meeting. All meetings are free and open to the public unless otherwise noted.